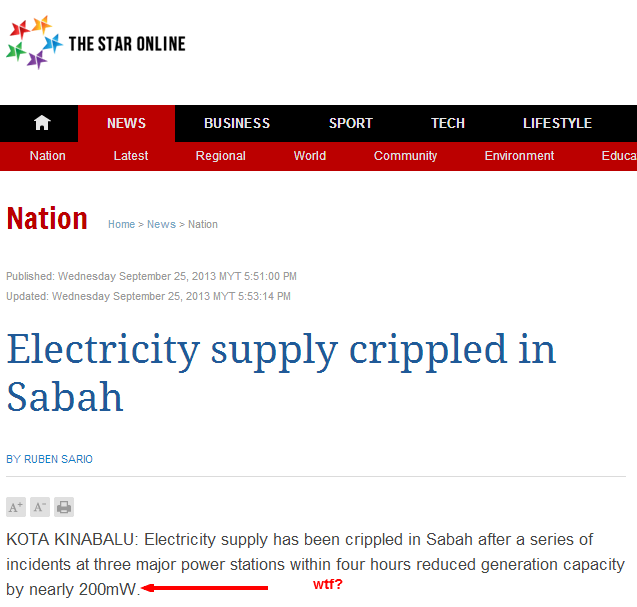 The Star today reported that the entire state of Sabah had its electricity supply ‘crippled’. I used inverted commas because the article goes on to say that the reduction was as much as 200mW. Now, any school child in a reasonably good school is going to tell you 200mW is nothing. 200mW actually translates to just 200 milli-watts, or 0.2 Watts. That’s less than 1 Watt!! You see in science (and more specifically engineering), the lower-case ‘m’ is used to denote the prefix ‘milli’ or 1/1000th. It’s why a millimetre is 1000 times shorter than metre, and why a milligram is 1000 times less mass than a gram. Information flows around the internet in chunks, with chunk of data very much like a letter in an envelope. Just like how there’s a special place on the back on an envelope for you to write the address of the receiver, there’s a special place in every ‘chunk’ for you to write the address of the receiving computer. These ‘chunks’ of data are called IP packets, and the addresses are called IP addresses. Vaccination deniers – KILL CHILDREN – Bill Gates. Wedding dinners in the Klang Valley, can only be called wedding dinners if they have at least 3 video presentations, one of photos of the couples on their ‘pre-wedding’ shoots, one for their ‘wedding-day’ shoots and of course the ever popular ‘story of our life’ montage–where the couple walk you through photos of their childhood over what is usually a Kenny G soundtrack in the background. My parents wanted to have a ‘photo montage’ of my baby pics during my wedding dinner, but not being much of a social person and I obviously opposed the idea, even going to the extent of sabotaging the effort (I cannot reveal the extent of sabotage for fear of incriminating myself)–unfortunately my father is a master story teller in his own right, and still managed to illustrate embarrassing stories of my childhood that almost caused me to blush, almost. Now obviously, not everyone is like me, and some people rather like having their naked baby photos published for their wedding guest to see and that’s fine. Privacy after all is a personal choice, some people like to share some people don’t. 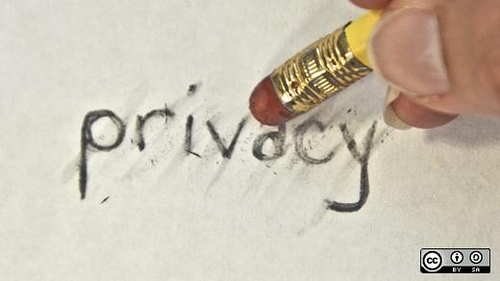 The essence of privacy is contextual, and everyone should be entitled to their own choice. It may sound peculiar to you, but children are human-beings too, they are entitled to the same choices you adults make, and making these personal decisions on behalf of your children isn’t just denying them the choice, it’s a denial of their civil liberty. Everyone is entitled to their privacy, whether that’s a over-grown buffoon like Bung Mokthar or a 7-year old child just wanting to pee without someone watching. If you don’t wish to share, you shouldn’t have to. IP is an abbreviation for the term Internet Protocol, and hence an IP address is an Internet Protocol address, but it’s probably easier to think of it as your internet address. In much the same way that your postal address describes the location of your house in the ‘real-world’, an Internet address describes the location of a computer on the internet. Ever stop to wonder how anyone from Malaysia could send a letter to President Obama by just addressing their letter to the correct address? 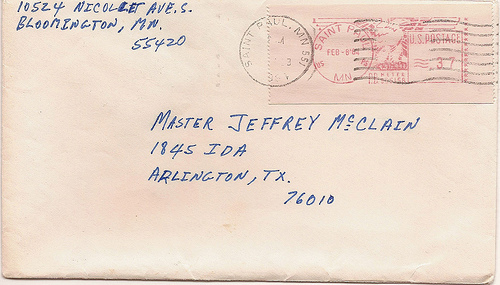 In fact, the address of the White House is the same regardless of whether you’re sending it from Malaysia, Japan, Australia or even Timbuktu. 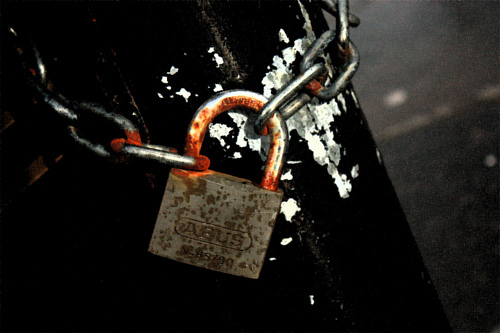 As you’ve probably gauged from my recent bout of paranoia, I’m a bit of a security-freak. My PC at home, not only runs an original version of Windows (something rare in Malaysia), but also multiple anti-virus and anti-malware suites, not to mention using EMET for even more security and a software firewall to boot. 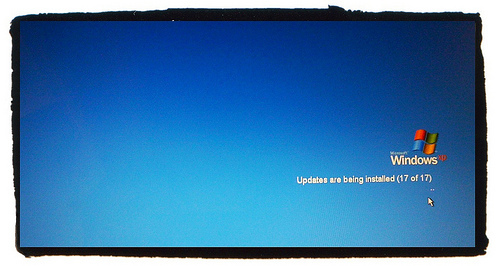 So it sort of makes sense, that after taking all those pre-cautions I would also use a Virtual Private Network or VPN. Now security isn’t the only reason to use a VPN, they also come in handy for accessing location based services like Netflix and Hulu. All in all they’re at least 4 good reasons to subscribe to a Virtual Private Network. Reason 1: A VPN encrypts and secures all your outbound connections. This makes it difficult for anyone trying to ‘sniff’ your connection to see which websites you’re visiting. If you’re looking for a VPN provider to secure your connection, then look for one that implements OpenVPN, that provides the best security for this purpose. Reason 2: A VPN allows you to access US based services like Netflix and Hulu. Here in Malaysia these providers block access from Malaysian IPs to their services–so if you want to watch Netflix, or even subscribe to Amazon, you need a US IP. If you’re looking for a VPN provider to give you this, then make sure they have a US gateway. Reason 3: A VPN connection allows you to access blocked/censored content. In Malaysia, the government has been known to censor the internet, every once in a while. So if the government suddenly decides to block youtube, or if you wish to access those file sharing sites local ISPs have blocked, then a VPN is a great way to circumvent censorship. Remember that in 2008, the Government blocked a pro-opposition website, Malaysia Today, so this isn’t beyond the realm of possibility. *Not to mention that innocence of Muslims is censored on Malaysian youtube. Reason 4: A VPN connection ‘anonymizes’ your IP connection. When you use a VPN to post a comment on a website online, the website won’t be able to trace your IP address, since only the IP address of the VPN provider would be visible to them. Beware though, that a VPN will only help anonymize the IP and not the content, you can leave online bread-crumbs in a multi-tude of ways, but a VPN connection helps mitigate that–somewhat. If you wish for a truly anonymous internet (like me), then look for a VPN that doesn’t log any data of it’s users. Reason 5: A VPN connection allows you bit-torrent without restrictions and anonymously. I’ve previously showed you how bit-torrent downloads could be traced to your IP address quite easily, but a VPN helps prevent that. Without a VPN, someone could do a quick search on your IP and determine what you’ve been downloading on bittorrent. Also VPN connections allow you to bypass certain restrictions and filters that your ISP may have in place to throttle bit-torrent downloads (note that Unifi doesn’t throttle torrent downloads). If you plan to use your VPN for this purpose make sure they don’t block torrent traffic. Just check out the advert below from the people at BTGuard. So in short a VPN provides you extra security, extra anonymity, the ability to access location based services and the ability to bypass censored content online. So it’s really a no brainer at this point–if you want to truly get the most of your internet experience–you need a VPN.